How Does PPM Software Help? Why Should You Use PPM Software? How to Get Executive Buy-In for PPM Tool? Background: What is Project Portfolio Management? If a company deals with just one client and managing just couple of projects; I would say, you must be a startup who has started gaining traction. It is natural for any company have aspiration to grow, increase its footprint in terms of clients, employees, revenue, profits, geographic presence, etc. As your business starts growing, as the number of client you serve increases, you have to start managing multiple clients-projects – plethora of projects with team of staff members. Even planning and delivering a single project can get challenging, just think about complexities involved in planning and managing multiple projects, many clients at once. These projects may have different goals, schedules, skilled resources requirement, SLAs to fulfil, geographies to serve. Some of these projects which appeared simple in the beginning might turn into complex and demanding affair for project managers as well as management. However there is a better approach to manage such multiple projects. Large enterprises faced similar issues while they were growing and they adopted an approach called – project portfolio management (PPM). PPM is about having a process to prioritise, categorise, select projects for planning, execution and delivery. Once you have well-defined PPM processes, PPM software can greatly help project portfolio managers organise project demand, bring order to chaos of budget allocation, resource allocation, stakeholder communication, etc. Let’s look at – exactly what is project portfolio management software and how does it help, what are types of PPM tools, who uses it, how to find the best PPM tool for your company, how to use it more effectively. Projects needs to be steered through troubled waters, sometimes there are resisting headwinds and sometimes boosting tailwinds. It is important to keep stakeholders informed about progress in terms of schedule, cost, risks, issues, changes, meetings, etc. of projects; not only for client but also for team members, vendors, partners, senior management involved with the project. PPM software makes it easier for project manager to manage finer aspects of the project as well. It also enables portfolio managers to understand project manager’s decisions about projects. PPM tools provides high level visibility for portfolio managers and executive management into progress of portfolio of projects. In turn, portfolio managers can take well thought decisions to guide/support project managers. One of the biggest challenges management team faces is inability to track various ongoing initiatives in the organisation as well as keeping a tab on performance of portfolio of projects. Project portfolio software allows organisations prioritise, categorise projects and provides high level visibility along with scalability to manoeuvre progress of multiple simultaneous projects. Typically offered as cloud based software, PPM tools offers enterprise solution for organisations to collaborate more efficiently wherein different stakeholders have access to multiple levels/layers of project data. Many leaders in industries like IT, engineering, consulting, healthcare, government, etc use PPM software to manage their project portfolios, often accessing data from various systems combined into one PPM tool. 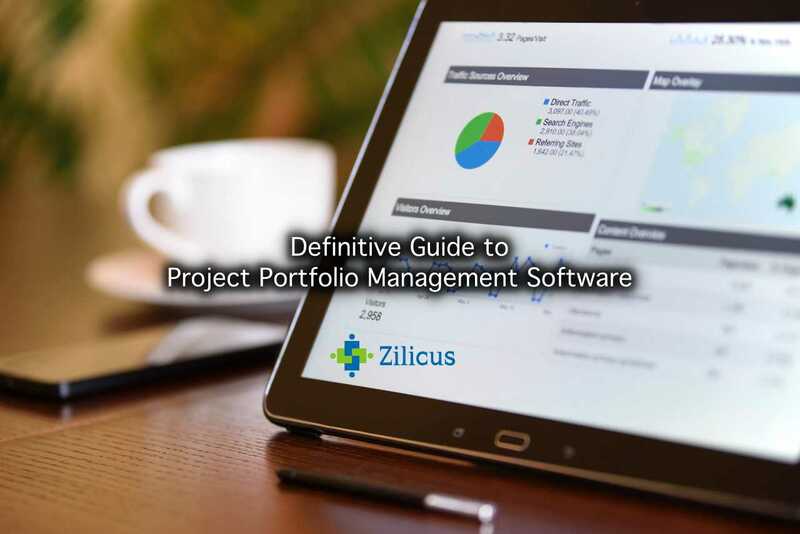 Project Portfolio Management Tool offered by Zilicus is one such solution to manage numerous projects and improve project outcome to meet business goals. It helps leaders make better decisions about selection of project, gain better visibility and help project managers to correcting the corse of projects. 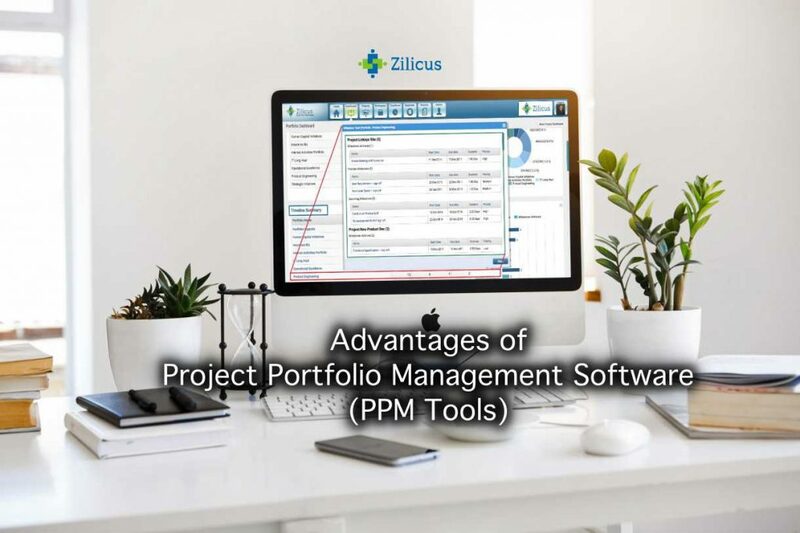 With Zilicus project portfolio management software management gets transparency in the way projects requests are approved, project managers can easily track project progress, implement changes/take corrective actions nearly real time such as task priorities, task timeline, budget, resource allocation, etc. Most importantly, PPM software solutions simplifies and automates stakeholder communication. Stakeholders get access to projects, portfolio dashboard as well as reports. It saves significant time for team members, project managers who do not have to compile reports manually. Project managers and team members are better off, focusing on project deliverable and successful completion of projects. How Does PPM Software Simplify Life of Project Manager, Portfolio Manager? Without using a right centralised PPM tool, balancing resources is not feasible. And it is hard to get it right with mere gut-feelings to allocate or reduce resources/skilled staff from one project to another. PPM tools allow allocation and assignment of resources across project, managing schedules, issues, risks, cost estimate can be one using a central tool. Project managers get early warning indicators, team members are informed of activities due on their name, it enables team collaboration as well as client-collaboration at one place. Project manager, team members and clients can use PPM tool to manage, track day-to-day project activities. After all, project portfolio management is not only about projects and tasks but also about strategy, objectives, priorities of overall business goals and strategic direction. Thus PPM tool not only takes care of operational aspects of project but also helps senior management in decision making by providing high level visibility into portfolio status/progress. Essentially, PPM tool facilitate selection of projects, smooth planning, monitoring, execution and delivery of projects. This centralised platform saves significant time, enable better communication and ensure successful delivery of various initiatives of an organisation. 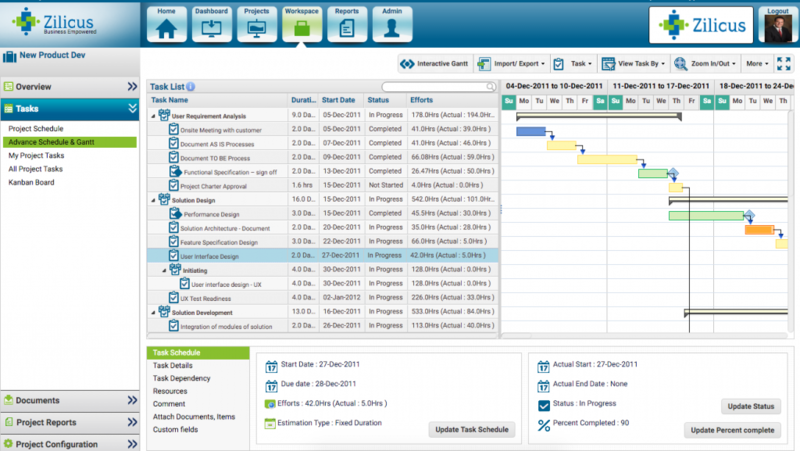 Project Portfolio Management software enables project manager, portfolio managers, PMO teams in enterprise organisations to allocate & manage resources, budget, timeline of projects, set/manage inter-dependency, processes to identify & resolve/mitigate issues, risks, control change requests and get visibility into scheduling of team activities to achieve optimal project delivery timeline & financials. Portfolio managers usually identify, define and track key performance indicators (KPIs) to check portfolio alignment with company strategy on a regular basis. Before embarking a new initiative, PPM software enables leadership team to understand the scope of the initiative, estimate of time and resources prepared by project managers. PPM software enables management to check projects to maximise RoI, align these investment to implement business strategies such as sales growth, increasing profit, improving operational efficiencies, enhancing customer engagement, etc. Hence from the company leadership perspective active project portfolio management can be achieved using PPM software to optimise project portfolios, augment staff capacity against incoming demand, and link project plans and resources to execute selective projects to achieve business goals. Essentially, PPM software is effective and highly useful when entire team uses it regularly, and especially management uses dashboard & reported information in PPM software to make strategic decisions, review project requests, review project performance and rebalance available resources for successful project delivery. Why Should You Use Project Portfolio Management Software? Effective Planning in terms of, taking up new initiatives to meet portfolio/business goals and plan projects, resources to meet those goals. Better decision making, in terms of whether to take up project looking at cost-benefit analysis, assessing project performance and taking corrective actions. For company leadership and portfolio managers, project portfolio management software is great enabler, enforcing mechanism to plan & execute projects, no nonsense way to make things happen by tracking project performance, KPIs, metrics in the dashboard, through automated email.